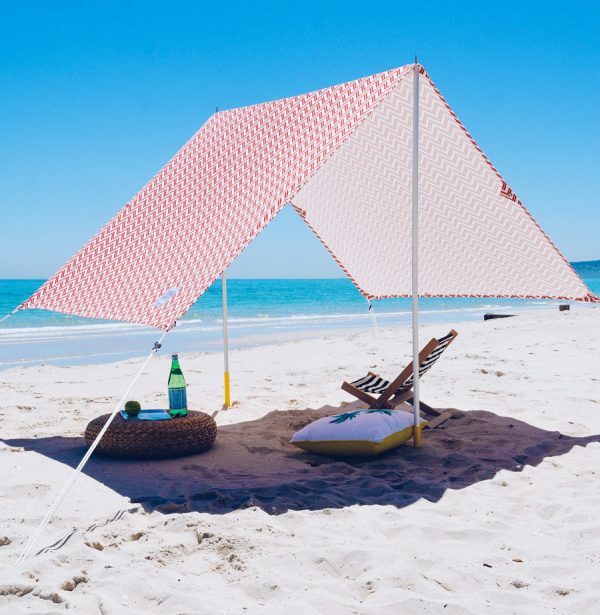 A stylish alternative to the common beach umbrella, this slick, versatile canopy from Lovin’ Summer keeps sun worshippers protected from harmful UV rays while also making a fashion statement. Its 100% cotton canvas blocks 97% of UV rays thanks to an integrated Ultraviolet Protection Factor (UPF) of 40, and the smart and beautiful A-line design allows for pleasant airflow. The Bondi Beach Tent can be easily assembled by one person, but provides shade for the entire family.